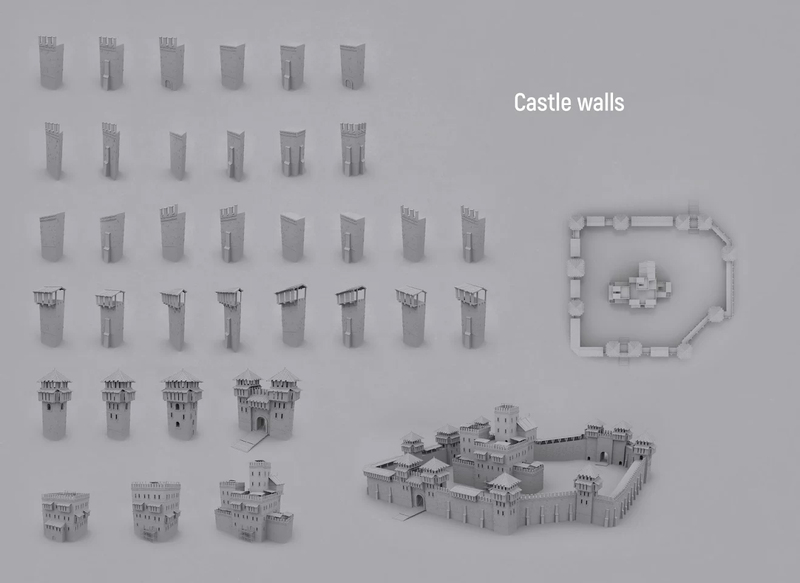 We have started internal tests of the new castle walls, which will soon be in game. These are 32 modules, among which are straight and sloped walls, walls with hoardings, inline and angular towers with stairs inside. We later plan to add arches and semi-arches as well. We also decided to slightly modify the keeps: they can now be built on top of the guild monument so that the monument will be inside the keep. All loopholes, battlements, and passages are completely reworked for a more convenient use in defense. You will be able to try out all of these in the Steam Early Access stage. We also want to show you a few weapon skins, which you will be able to buy in our upcoming in-game shop. To begin with, we plan to introduce three sets of skins for the most popular weapons, and then gradually add skins to everything else. The difference between common weapons will be cosmetic only - all the characteristics and location of the hit-nodes will be the same. In addition to weapon skins, in the shop you can also find unique clothing (no in-game bonuses but does not drop in a loot bag upon death.) 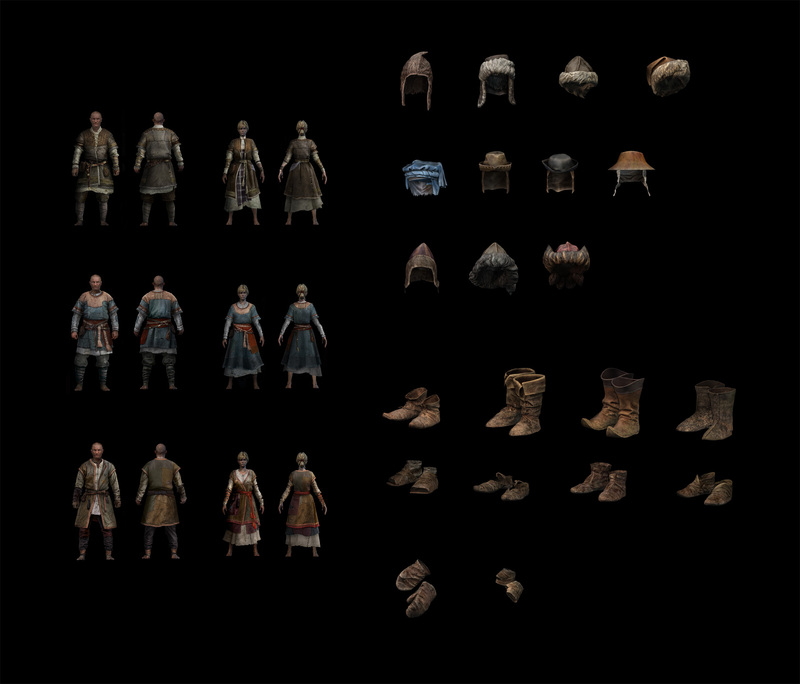 as well as a variety of skins for all armor types and crafter's outfits.